Our mission is to improve your life through the most innovative modalities and therapies. Our wellness team delivers chiropractic care, supports wellness, and improves sports recovery times with the latest tech and intelligent therapies previously reserved for the elite. Chiro iQ levels the playing field by using cutting-edge technology to offer premier wellness programs to everyday individuals, athletes, and anyone else looking to realize their full potential. We understand that chiropractic care isn’t just for back pain — it’s a key component to optimal wellness. With this in mind, our care doesn’t just focus on relief, we help you build the foundation for your journey down the smart path to wellness. In scientific terms, chiropractic care through adjustments directly affects the body’s musculoskeletal structure by reducing pain and optimizing joint and muscle motion. 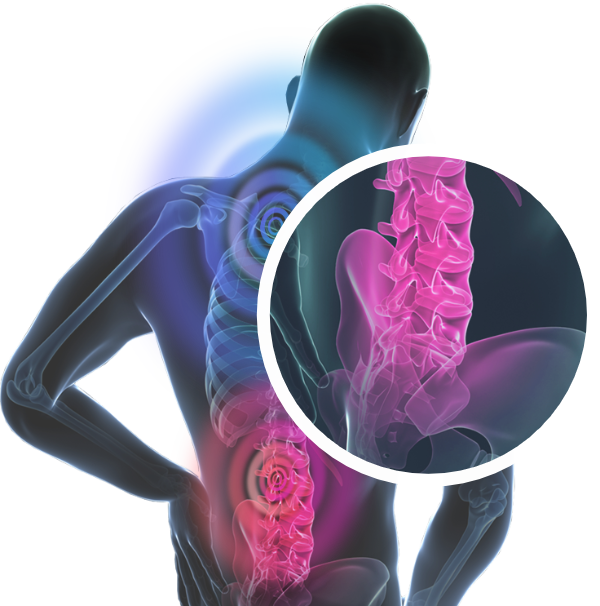 Chiropractic care deals with the neuro-musculoskeletal system of the body. Through the practitioner and innovative technologies, chiropractic care identifies and offers preventions against disorders and injuries related to the nerves, muscles, and bones. Our skilled wellness team works with you to correct these stubborn injuries and health needs. Ready to start on the smart path to wellness? 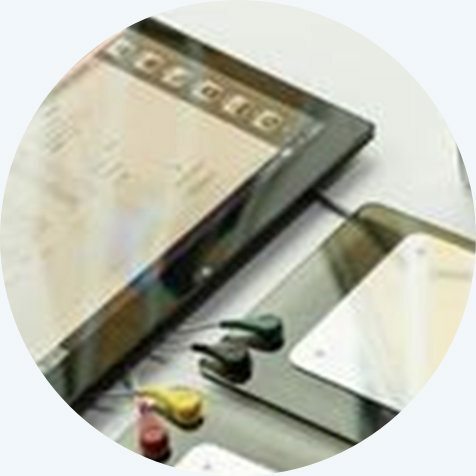 As a core piece to smart path to wellness, Chiro iQ uses this accurate and dynamic software system as we believe it offers detailed wellness reports and solution-based therapies to give our patients simplified wellness plans that can be measured. 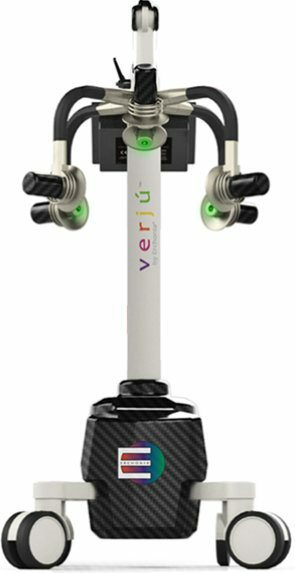 The SpectraVision improves wellness for all through generations of innovation. This system generates a list of top health areas and items your body responds to. Using bio-resonance technology, our system generates a personalized wellness overview. All items in and around the body have a unique energetic signature. 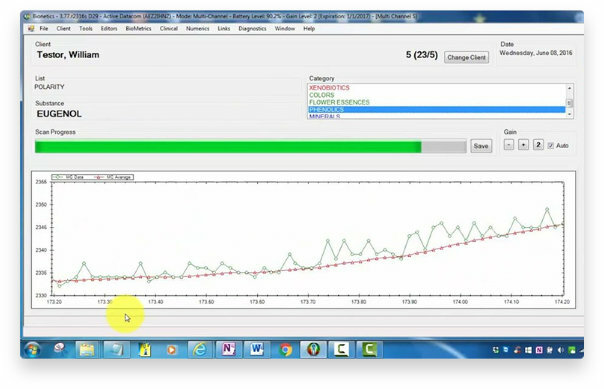 This innovative software system has measured and recorded each energetic signature for each of those items. 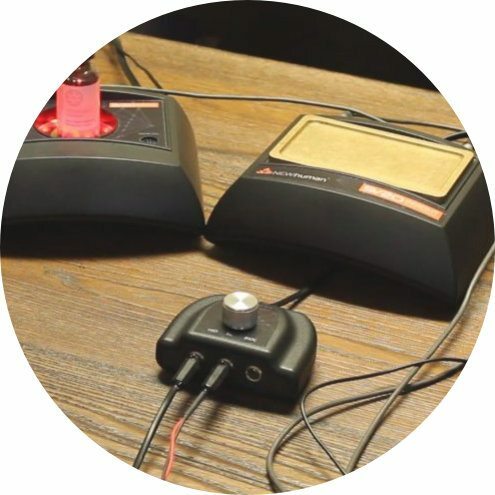 Through the use of electrodes, these electronic signatures are broadcasted into the skin, allowing for a response that the system’s software can measure. This is a technology used to measure the body’s resistance to electrical frequencies. During a scan, the system passes light electrical frequencies through the skin to measure the body’s reaction to natural energy signatures of health items. The induction of these light electrical frequencies offers a measurable response from the body which is recorded in the software and used to generate a detailed report. Bio-Resonance is based on the autonomic nervous system (ANS). This is the body’s main command center, integral to every other area of the body and offers measurable results. These results can be measured through ways such as blood pressure, body temperature, breathing etc. One key area to measure is the resistance to the flow of electrical currents. The SpectraVision software sends databases of frequencies to the body to measure each of their reactions. The software calculations to the body’s energetic reaction is accurate and thorough. 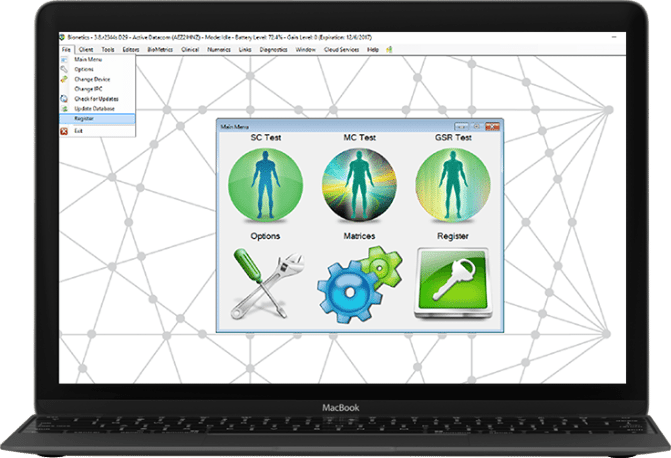 The software uses an intricate algorithm to translate and generate the wellness report. During the scan, the software is operating the algorithm multiple times to measure the body’s energetic reactions. As the systems software scans, your body will have natural energetic reactions to the energetic signatures. Upon the completion, these reactions are recorded, compiled, and analyzed into an individual report. 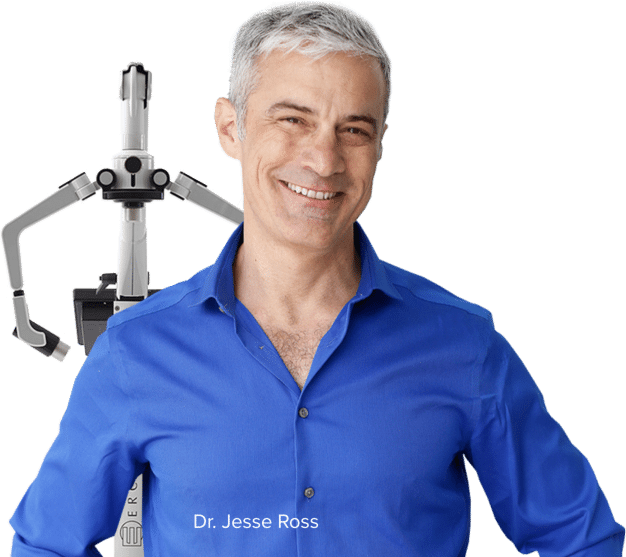 Using this report, our health professional can recommend the best wellness path through the use of energetic resonance testing (point testing), low light level therapy (often referred to as low-level laser) and nutritional supplements. The scan is personalized to each individual. The reactions and needs based on EBR are sorted on the items the body responds the strongest to. The scan has a multi-focused report, but it can be simplified to three core areas referred to as, BEE (Biological, Emotional, Environment). Biological: reactions under this area may influence the body’s physical health and overall wellness. Environment: reactions under this area may influence the body’s response to environmental surroundings. Ready to simplify your health? PEMF helps repair damaged cells, making it among the most advanced injury repair and pain elimination technologies available. Patients have commonly reported healing of injuries, improved sleep, and lasting energy. Our wellness team believes PEMF is the foundational step on the smart path to wellness. This therapy is more than 100 years old, and the FDA cleared PEMF for bone growth in 1979 and for post-operative edema and pain in 1987. 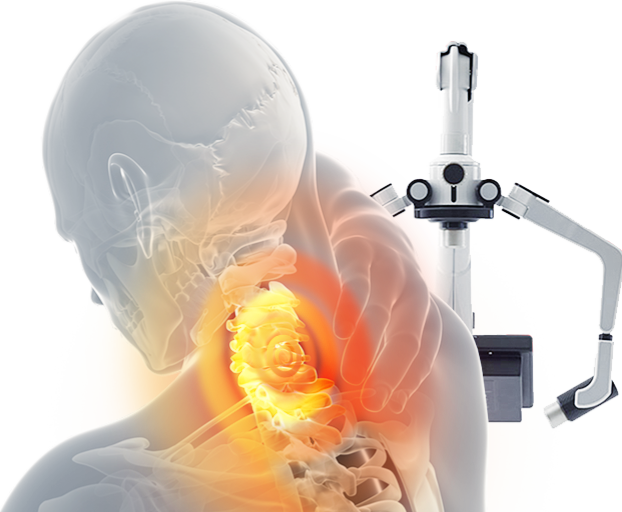 In 2004, PEMF was cleared as an adjunct to cervical fusion surgery, and in 2011 it was cleared as a treatment for depressed individuals who are unresponsive to medication. PEMF expanded in popularity in recent years after NASA employed it for retaining and restoring astronaut’s bone and muscle. While similar, PEMF should not be grouped with X-ray, tens, or laser therapy, as this would be the equivalent of comparing a flowing stream to a raging natural river. In traditional approaches, the body is treated using chemicals in most cases. PEMF addresses the health needs of the body by stimulating the cellular membrane since our body’s cells communicate on an electro-magnetic level. The cells within the body function much like a phone battery. As the energy levels drop within the body’s cells due to lifestyle factors, overall body energy drops. 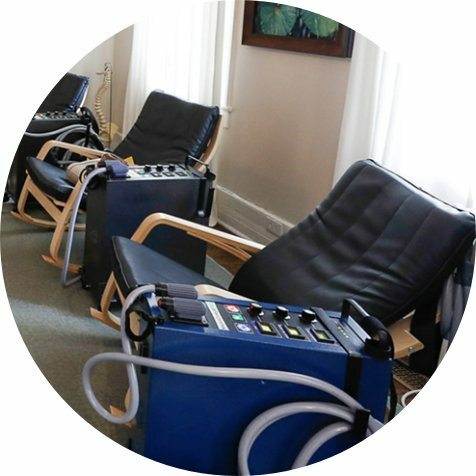 PEMF therapy allows sluggish cells to activate, open, and operate much like a filter and pump, absorbing fluids and nutrients while filtering out toxins. 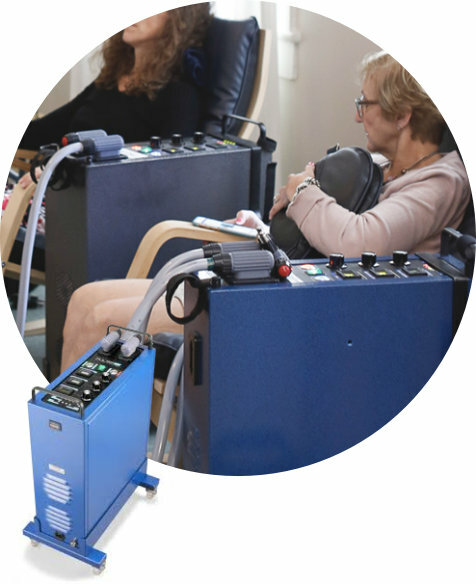 This therapy allows the body to make foundational energy, strengthen our cells, and reduce pain in minutes simultaneously while promoting long-term wellness. 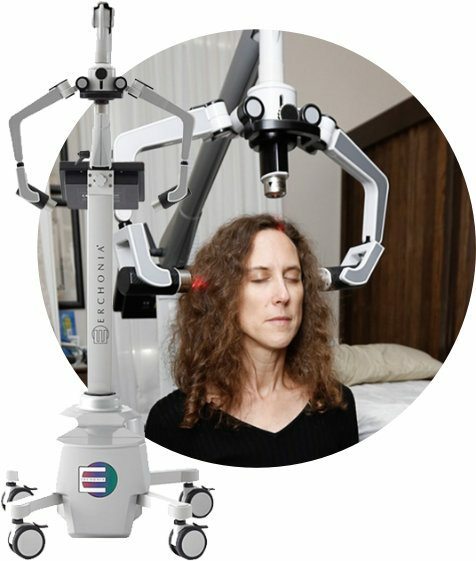 Interested in the benefits of PEMF? This low level laser technology is an FDA market cleared cold laser. It has been proven in clinical tests to effectively treat plantar fasciitis, relieve pain and inflammation, and help patients return to an active life through bio-stimulation. There are many lasers on the market that promote cellular function and relief, but the FX 635 is our preferred solution since it has been market cleared by the FDA to treat plantar fasciitis. Ready to take the smart path to wellness?